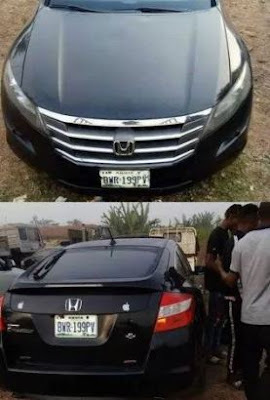 Three suspects including One Seaman Okonkwo Ebuka Emmanuel, dressed in military uniform to deceive the police on stop and search along Ogwashi-Uku/Ibusa expressway, has been arrested alongside two others Ugochukwu Eludi and Chuks Ogbonna for allegedly stealing a Honda Crosstour saloon vehicle. He said that questions put to the suspects with regards to ownership of the vehicle could not be answered, prompting the officers to search the vehicle where they discovered a wrap of Indian Hemp, two phones, and the vehicle particulars. 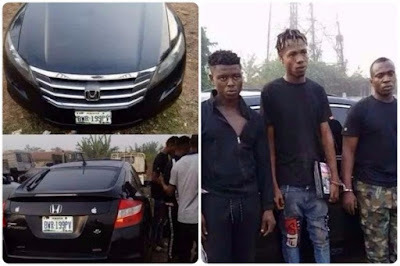 The PPRO, DSP Andrew Aniamaka, said that call was put across to the number on the vehicle papers, only to discover the vehicle was stolen from one Ogwe Chidiebere in Lagos. 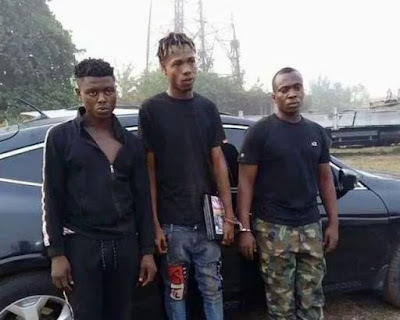 0 Response to "Fake soldier and 2 others apprehended in delta with stolen vehicle"